Mobile expressive rendering gained increasing popularity among users seeking casual creativity by image stylization and supports the development of mobile artists as a new user group. In particular, neural style transfer has advanced as a core technology to emulate characteristics of manifold artistic styles. However, when it comes to creative expression, the technology still faces inherent limitations in providing low-level controls for localized image stylization. In this work, we first propose a problem characterization of interactive style transfer representing a trade-off between visual quality, run-time performance, and user control. We then present MaeSTrO, a mobile app for orchestration of neural style transfer techniques using iterative, multi-style generative and adaptive neural networks that can be locally controlled by on-screen painting metaphors. 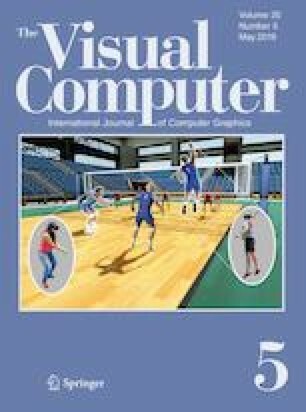 At this, we enhance state-of-the-art neural style transfer techniques by mask-based loss terms that can be interactively parameterized by a generalized user interface to facilitate a creative and localized editing process. We report on a usability study and an online survey that demonstrate the ability of our app to transfer styles at improved semantic plausibility. The online version of this article ( https://doi.org/10.1007/s00371-019-01654-1) contains supplementary material, which is available to authorized users. We would like to thank the anonymous reviewers for their valuable feedback. This work was funded by the Federal Ministry of Education and Research (BMBF), Germany, for the AVA project 01IS15041.